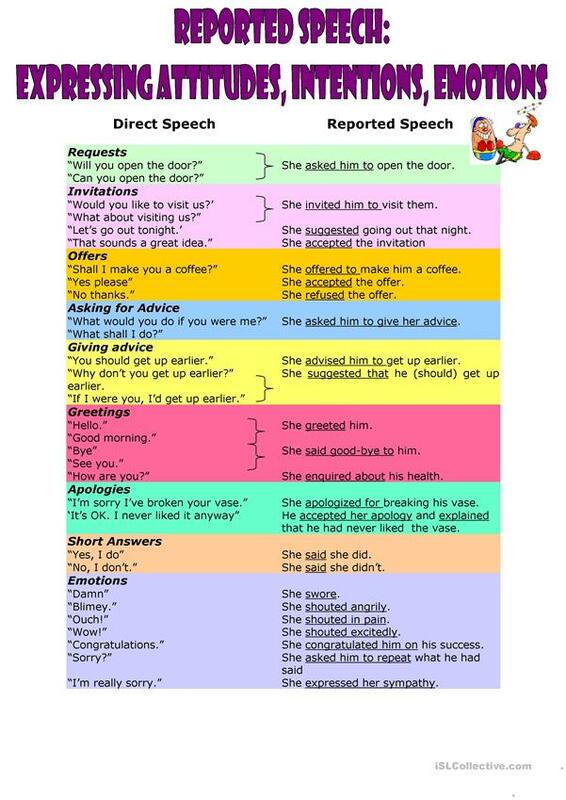 A summary of how to express attitudes, emotions and intentions in Reported Speech, plus exercises. This downloadable worksheet is meant for high school students at Upper-intermediate (B2) level. 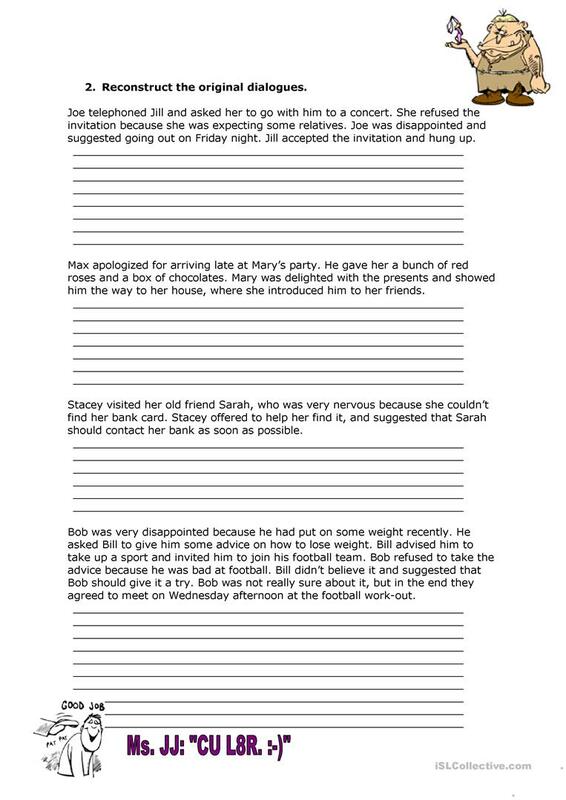 It is valuable for teaching Reported Speech (Indirect speech) in English, and is excellent for honing your groups' Speaking skills.